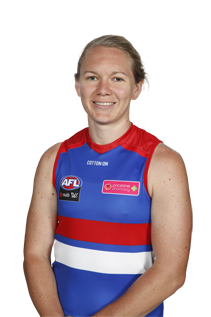 AFLW premiership ruck Aasta O’Connor has left the Bulldogs to pursue an opportunity at the Geelong Football Club. Four AFLW Bulldogs were members of Darebin's premiership victory. The ruck did not play in 2016 after needing a knee reconstruction. Was considered one of the premier rucks in the country before the injury, thanks to her tough approach and willingness to do what it takes to win. A genuine leader at the club and off the field with her work setting up female footy development programs.